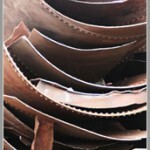 The materials will be sorted, separated, processed and possibly reduced. 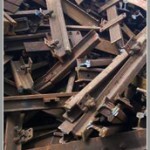 We place any wanted size of container at our customers, who processes scrap iron and non-ferrous materials through us. 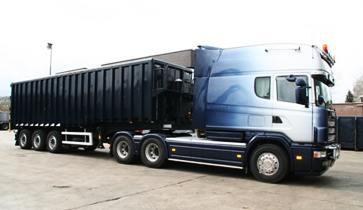 Our own transport facilities guarantees quick handling of the various orders. 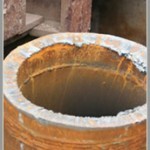 We have at our disposal our own loading- and discharging quay. Oostdam has a young and modern fleet. In our fleet we have truck-trailer and motor-vehicle-trailer combinations. The trailers are used mostly for large bulk parcels from A to B and for transporting the processed and sorted materials to our customers. 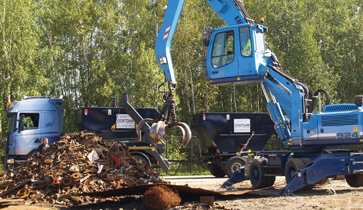 Our transport facilities places and changes the placed containers at our customers. Are you looking for one of our services? 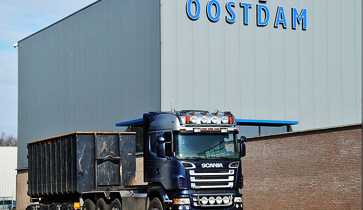 Oostdam is one of the biggest companies in processing, handling scrap iron, non-ferrous metals and scrap works. 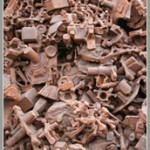 We are specialised in dismantle big factory blocks. Simple but also extensive scrap projects we take for our own account. 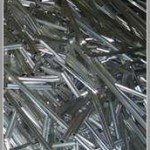 Our customers are certain of an optimum service and a quick transport of the materials.